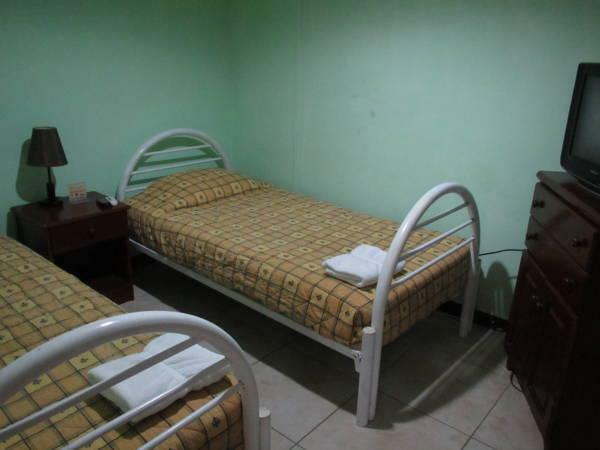 ﻿ Best Price on Hotel San Luis in Managua + Reviews! 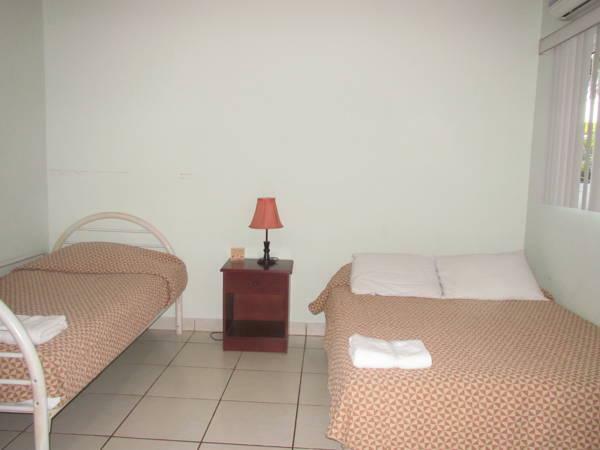 Only 10 minutes’ drive from central Managua, Hotel San Luis offers its guests free breakfast included with rate, Wi-Fi access and private parking on site. Ironing and laundry services are available for a fee. 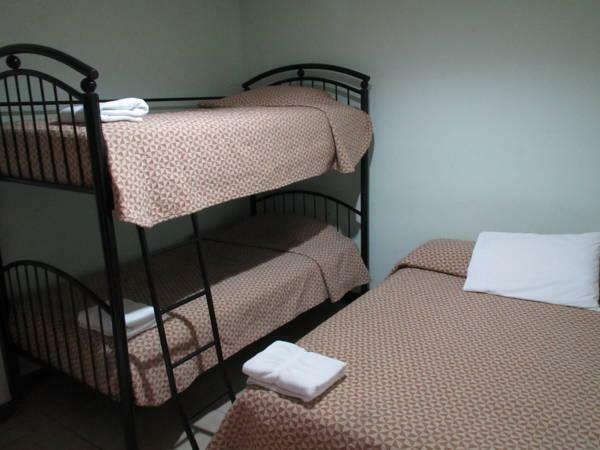 The air-conditioned rooms all feature cable TV, a small wardrobe and a private bathroom. Some unites may feature a small fridge or a balcony. Guests will be able to find a variety of restaurants and eateries between a range of 2 km to 4 km from Hotel San Luis. 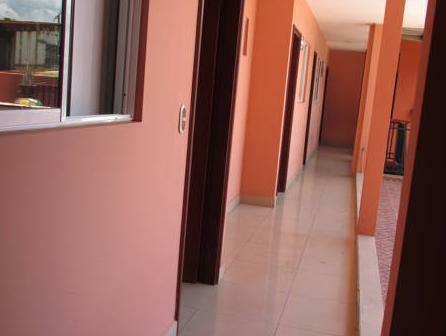 Managua offers several city parks guest can visit like Parque Villa Venezuela 15 minutes’ drive from the hotel; or Plaza Cuba Square just 2.7 km away. Managua Shopping Mall is a short 5-minute walk from Hotel San Luis. Augusto C. Sandino International Airport can be reached in a 25-minute drive. Rated for the upstairs room (with balcony), although I later changed to a downstairs room: my stay was likely longer in duration than the average. Taxis (not expensive) are recommended for reaching most destinations from the hotel, although some can be reached safely by-foot going the back way (avoiding the busy east-west Pista de la Solidaridad). Both the room & bathroom could have used better lighting. The Maxi Ducha Lorenzetti shower attachment was adequate for warm showers, but could not get hot water from the sink tap (making shaving difficult). Interior of the hotel and immediate neighborhood always felt safe. The hotel staff is top-notch (starting with basic decency & honesty): for example, Martin assisted me greatly when I was taken to a hospital by ambulance. Terminal Huembes (1.5 km distant) is the starting point for buses headed to Masaya & Granada. Had a very good night's sleep. Simple clean room and quiet neighborhood. 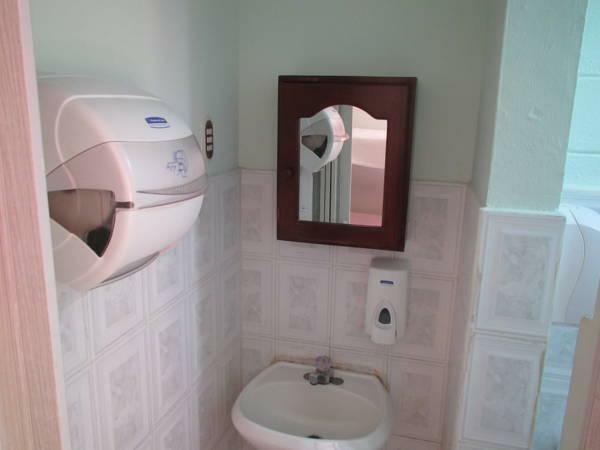 Good location, close to a main street to take a taxi, and just a quick ride to the 2 biggest shopping centres.